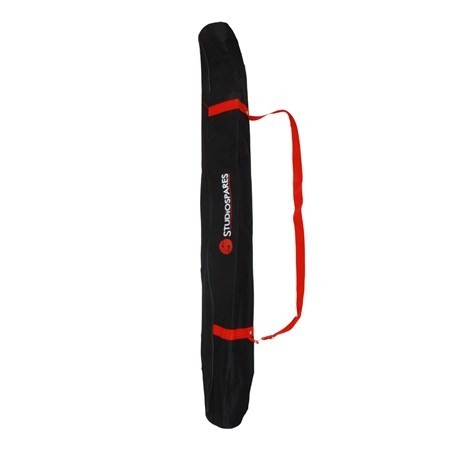 A high quality microphone stand bag. • This bag uses a single zipper fastening system. Looking at the provided picture; the zipper starts at the top right of bag, runs across the top and down the left side to almost the first handle strap position. The zipper system does Not run the full length of this bag. 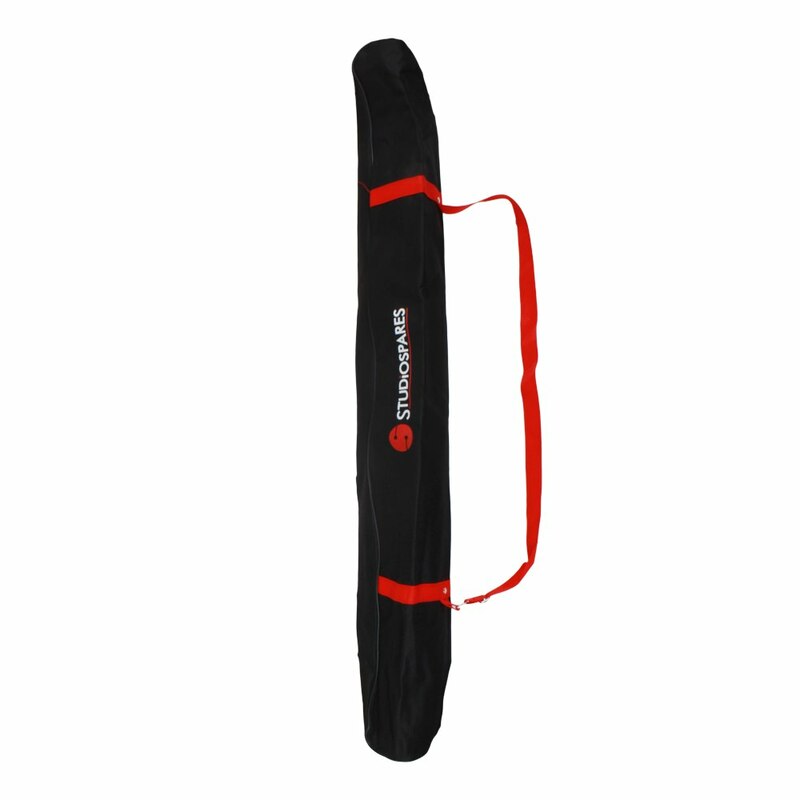 Great durable stand bag that comfortably fits a couple of mic stands.